Recently introduced by Ford new package called ST Line for usual models Focus, Fiesta, Mondeo, and it is now available for the popular European SUV, which has a reputation. 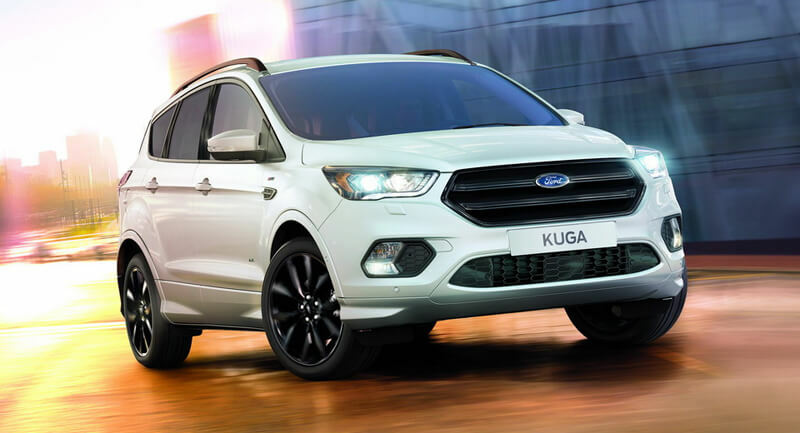 Ford Kuga from the outset has become one of the best drivers’ cars in the class, it is offered with front or all-wheel drive system. Following the launch of the facelift version, Kuga took fresh and new line of bodywork, which resembles new Ford Edge. 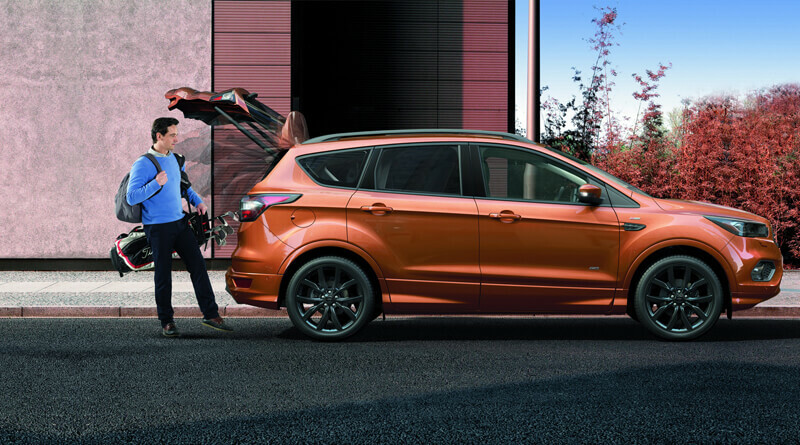 Kuga ST Line is a sporty model that will stand out a modified front bumper, hood and lower intake of air in the shape of a honeycomb. On the next observable thing are wider side moldings, black 18-inch alloy wheels or 19-inch for an extra charge. On the back of Ford we will find a small roof spoiler, tinted windows, black roof rails and dark front and rear lights. Inside Ford changed sports seats with visible stitching, partially leather trim and dark headliner. 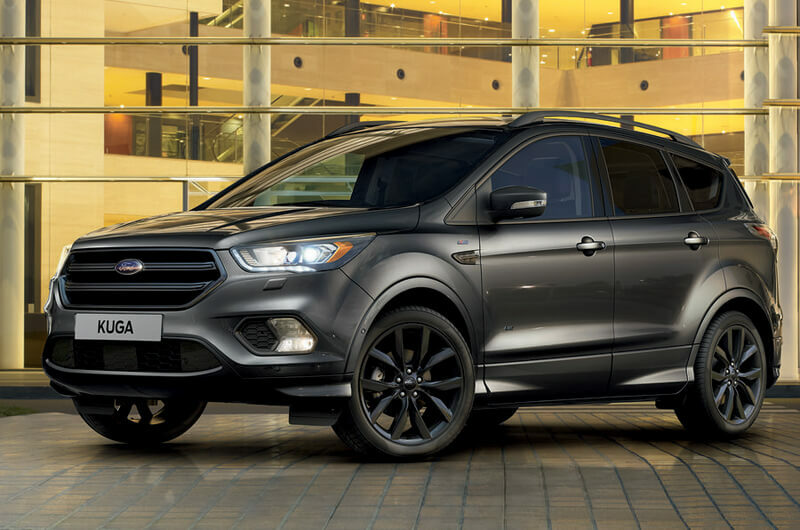 Mechanically, the car will get the same range of engines, modifications will be made in the suspension, which is 10 mm lower, it will be tuned steering with thicker anti-roll bars, thanks to the Ford Kuga will be stiffer. 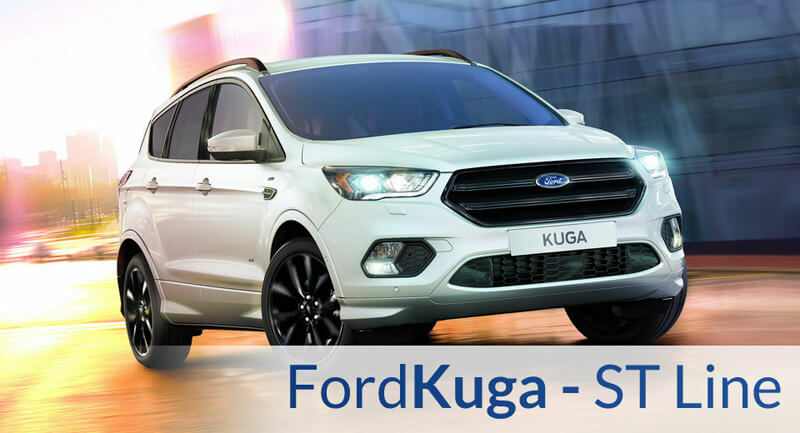 Ford expects that sales of SUV models (Kuga, Edge and Ecosport) will reach up to 200 000 units in Europe.